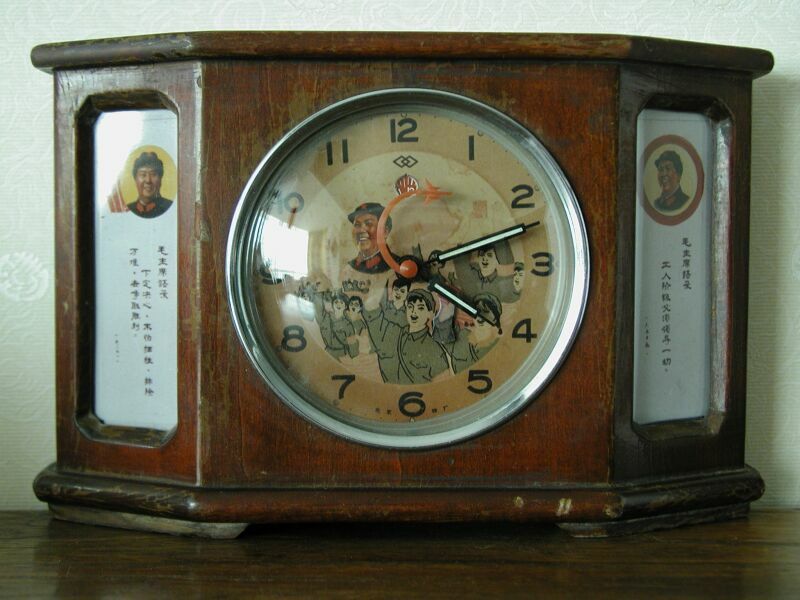 A mantle clock in wooden case with inserts of Chairman Mao's quotations. The case shows some signs of wear and has otherwise aged gracefully. The clock works fine as does the alarm. The case measures 23 cm x 15 cm. 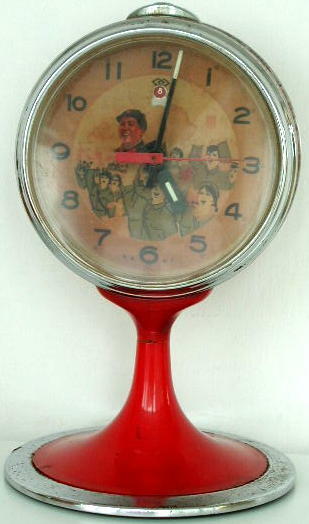 This is a wonderful alarm clock from the cultural revolution in excellent condition. This fine quality reproduction is a wonderful conversation piece and reminder of a different time in China's history. 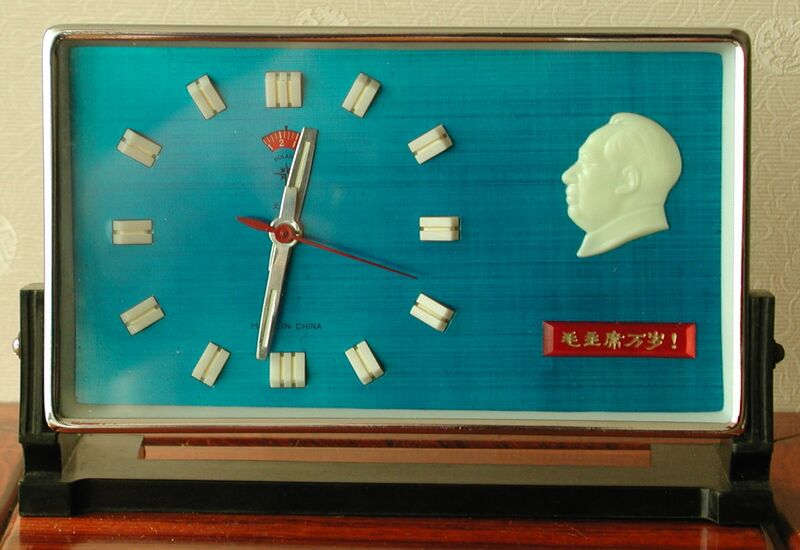 A steel case and Chairman Mao on a white dial. This fine quality reproduction is a wonderful conversation piece and reminder of a different time in China's history. 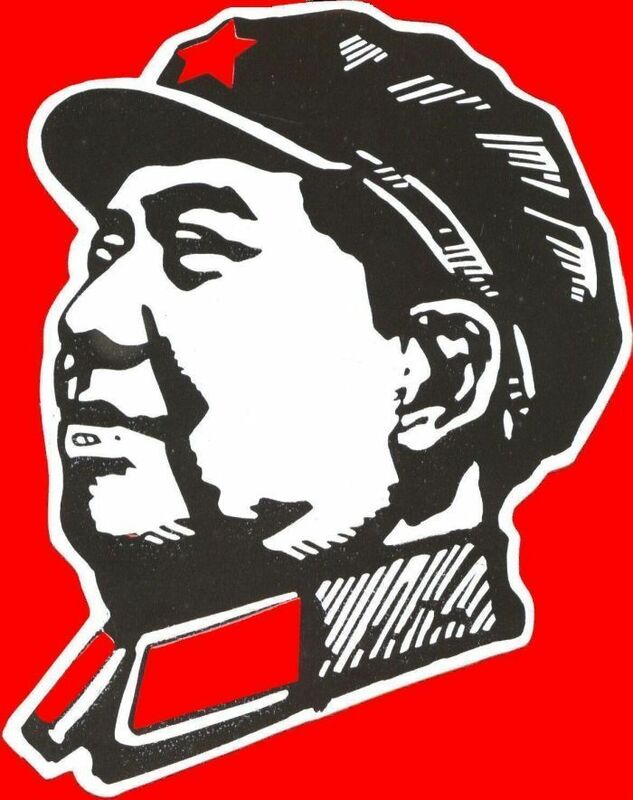 A steel case and Chairman Mao on a red dial.